Take Advantage Of All That The City Has To Offer! 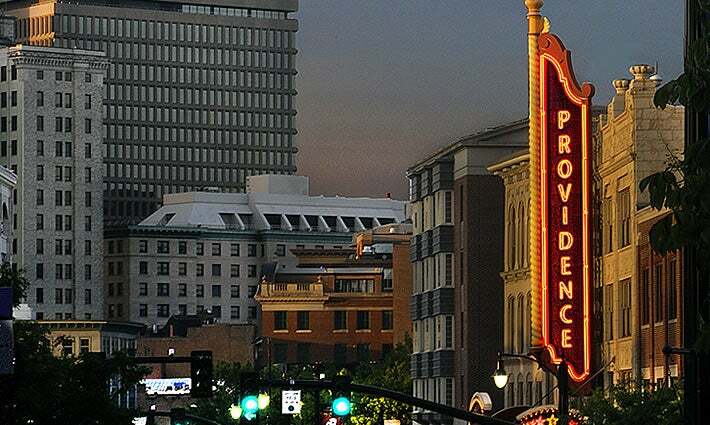 The Providence Performing Arts Center is located at 220 Weybosset Street located in the heart of Providence’s arts and entertainment district. The Theatre became known as the “Jewel of Weybosset Street” after its doors opened as Loew’s State Movie Palace in 1928. This world class venue is the second largest theatre of its kind in New England and can seat up to 3,100 people! Be sure to pre-plan your visit to PPAC and get the most out of your experience here in Providence. Book your reservations ahead of time to enjoy some of our city’s exquisite cuisine or to spend the night in one of our fine hotels. We want your visit to PPAC to include the total package of all that Providence has to offer! While you’re enjoying a fabulous night of theatre at PPAC, be sure to experience all that Providence has to offer. In a recent Travel + Leisure readers’ poll, Providence was ranked #2 in the nation for best cuisine! Spend the night at any one of the city’s hotels, most of which are within walking distance of the Theatre. Visit GoProvidence.com to learn more about the city’s destinations.